GT favs Hunters have a brand new 12″ EP, the digital of which is out now via Aagoo Records. 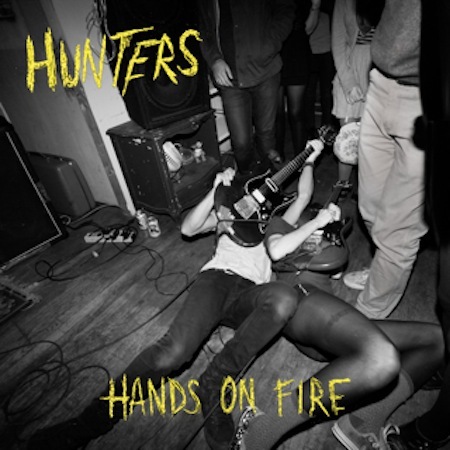 The EP is entitled Hands on Fire, and it totally rocks. This here is the promo mp3 from Hands on Fire. Hands on Fire looks like this. Preorderage for the vinyl should be available soon @ aagoo.bigcartel.com. You can watch some footage of Hunters performing at Cake Shop during this years’ CMJ @ GIMMETINNITUSTUBE.